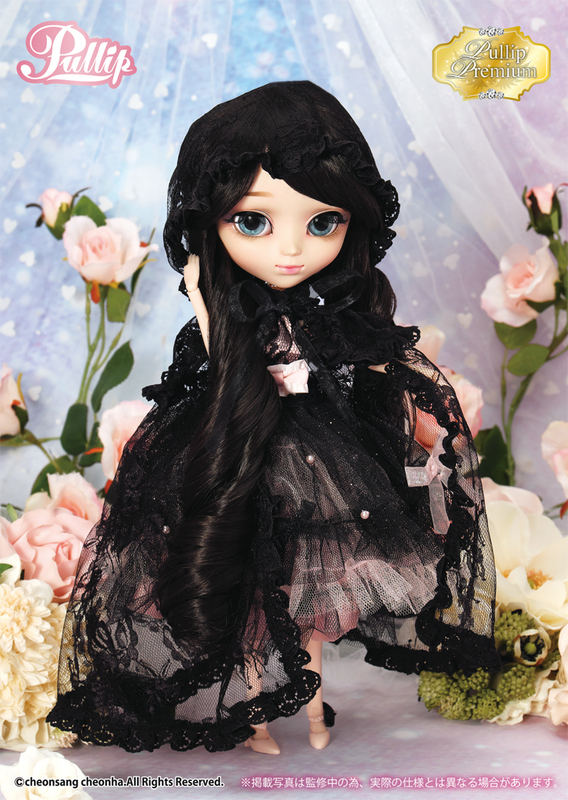 Groove recently announced the latest doll in their Pullip Premium line via their blog Pullip Premium Nanette Erica Version. The Pullip Premium line are dolls based on previous popular designs but in all new color schemes and variations on the doll’s outfit, Pullip Premium Nanette Erica Version is based on previous release Pullip Nanette and is the fourth doll to be released as a part of the line following the release of Premium Pullips Kiyomi Mint Ice Cream Version, Romantic Alice Monochrome Version & Deep Crimson Veritas. 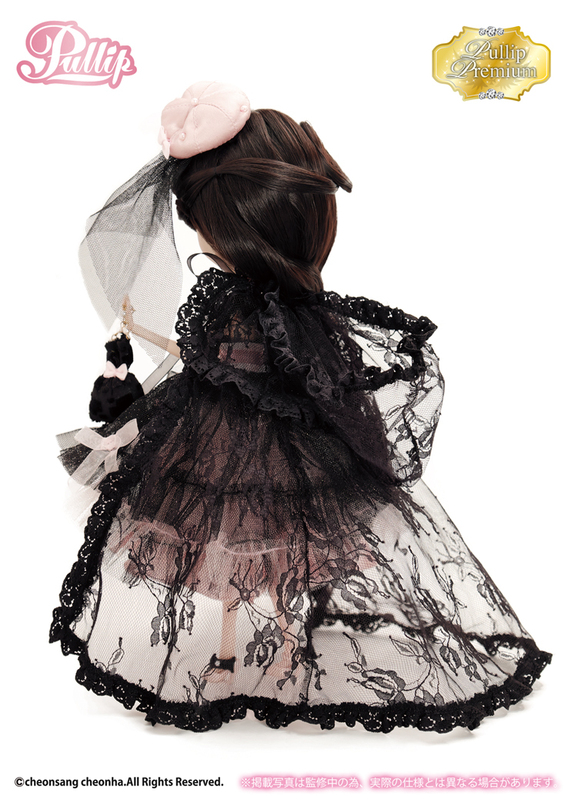 Pullip Premium Nanette Erica Version has a MSRP of 18000 yen which is approximately $158.54 as of this writing. 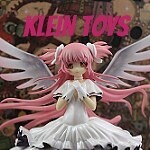 She will be released in late February in Japan, she will not be released until late March in the US. Pullipstyle has confirmed that they will be carrying her on their facebook page but will likely not open preorders for her until after the holidays because of how how far out the release is. A night with snow falling like shining stars. Trying not to be discouraged by the cold…..Wearing layered clothing Lovely. Going out to take a picture of the first footprints marked with white snowfield….Feel Like So. I realize some of the newer collectors may not be familiar with Nanette so here is the photo of the original version. 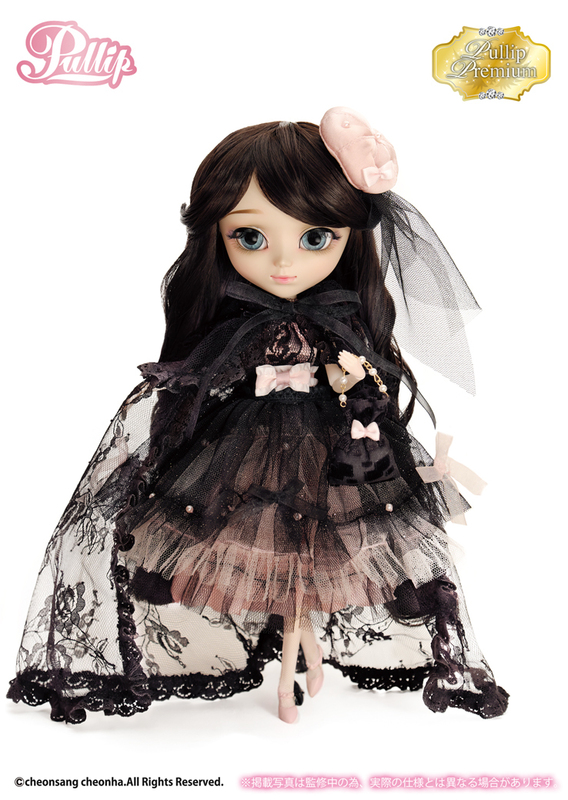 The original version of Pullip Nanette was released in December of 2012, she was a moderately popular release, particularly popular around the holidays. I always liked her a release but I don’t think she would have been my first choice for the next doll in the Premium Pullip line, I’m still hoping to see a Premium version of Seila or Ddalgi someday! 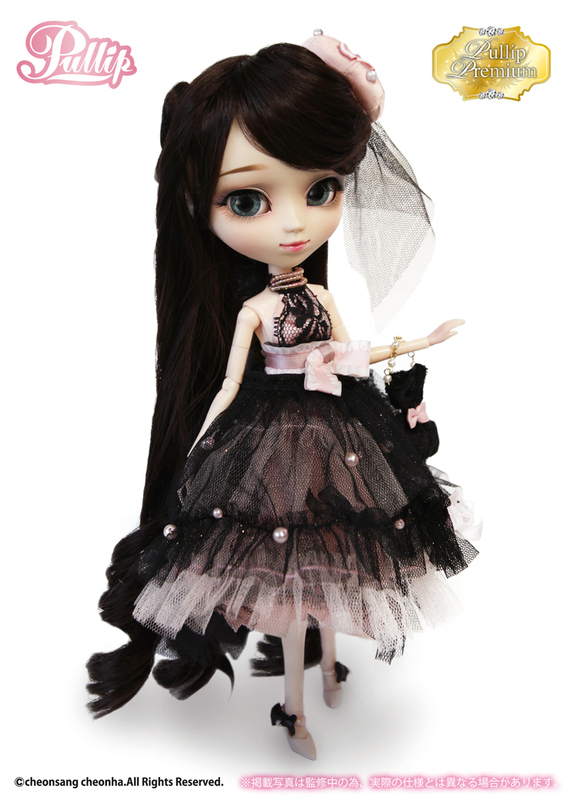 I think of the Pullip Premium releases so far, Nanette Erica version is the greatest departure from the original design. The dress and shoes both appear to just be a color swapped version of the original, the hat is a little different in design but not a radical departure from the original, the biggest change is Nanette’s (faux) fur-lined capelet which has been replaced with a proper cape with lovely lace detailing. She also appears to be lacking Nanette’s muff as well as some of her more holiday themed accessories like the little tree headband which honestly I will not miss. Back view of the cape. I love the lace that was used for it, it’s very chic! I think that I actually prefer the color scheme over the old one but I am not a huge fan of hot pink so I may not be the best judge, I really do like the pale baby pink and black together. I also love the brilliant blue eyes that were chose for her. Curls still kind of worry me overall but I do like the design and color of the wig, she look like a dark mysterious beauty! Overall I’m pretty happy with this new interpretation of Nanette, the only thing I do not like is that fact that they did not darken her eyebrows. The brown eyebrows with the jet-black hair bother me, it seems lazy on Groove’s part. I will update as more details become available! 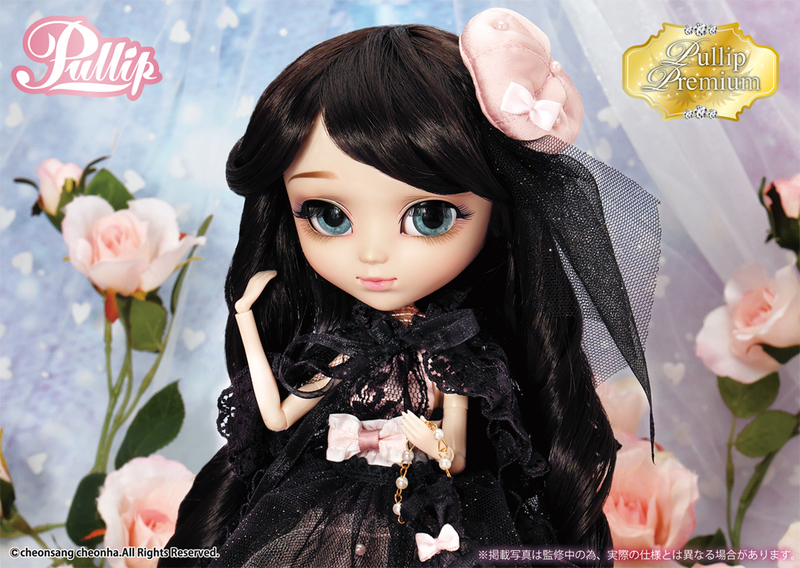 This entry was posted in Doll, Pullip and tagged 2018 groove, 2018 pullip, asian fashion doll, fashion doll, groove, nanette, nanette erica version, premium pullip, pullip nanette, pullip premium nanette erica version. Bookmark the permalink.